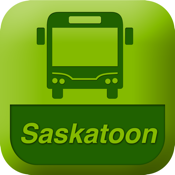 Saskatoon Transit Touch and Go is your on the go Bus Schedule. * View information on fares and more. No matter where you are in Saskatoon this app will tell you how to get to where you need to be using the bus.